I took this bright exterior image of one of Athens’ most notable buildings in a warm, sunny day. 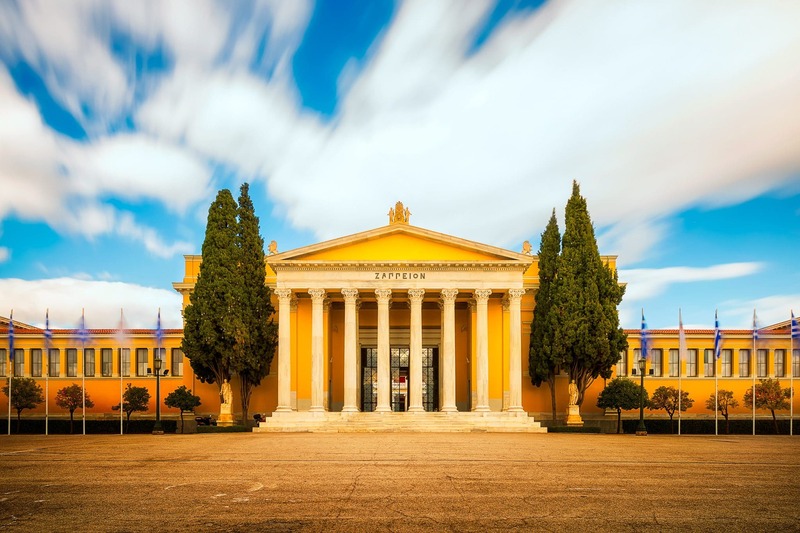 The list of cultural and sports events, of political ceremonies and commercial shows, housed in the Zappeion Exhibition Hall in Athens is really long. Even if that’s not enough to attract your interest to this magnificent building, I recommend you to see it, while sightseeing in the city, just for its elegant, neoclassical architecture. 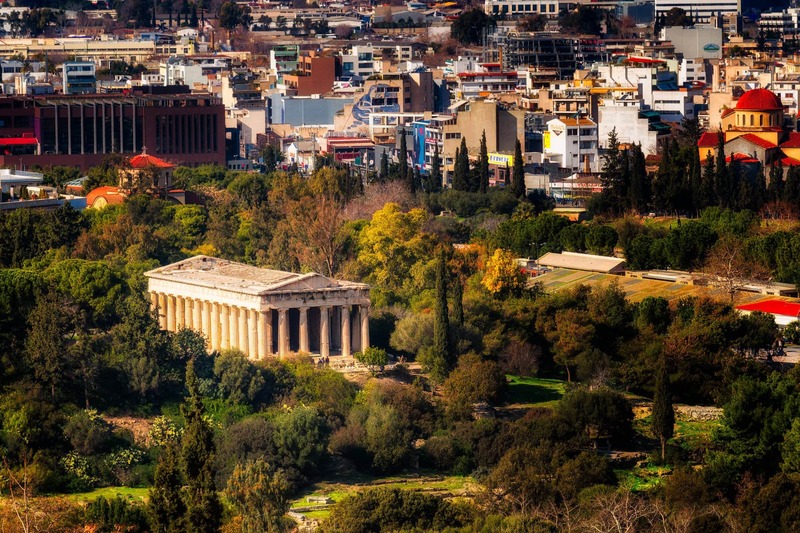 This magnificent building is located in the heart of the capital of Greece, surrounded by the National Gardens of Athens. 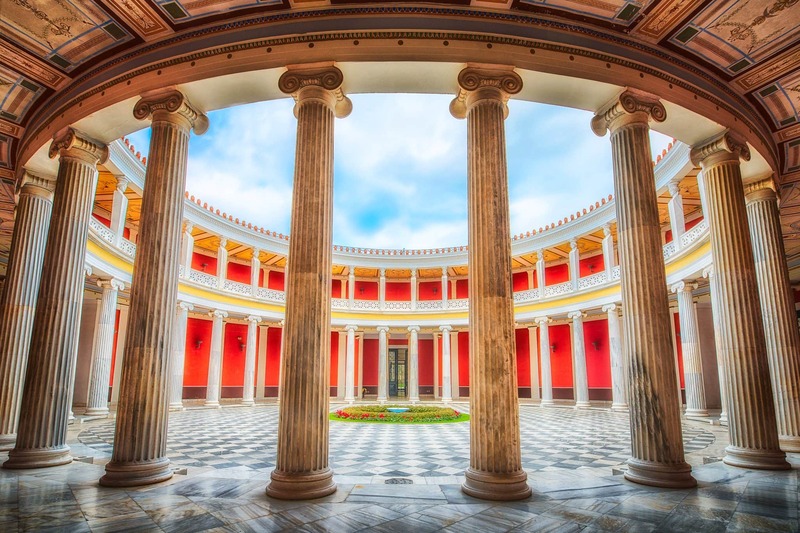 While researching the places to photograph I found a picture of Hall in Zappeion and I couldn’t resist visiting this place as one of the first things to do during this cloudy day in the capital of Greece. The central atrium you see on the photo is of 984 square meters. It has been build on two levels – an Ionic colonnade on the ground floor and pillars on the upper one. The Odeon of Herodes Atticusis among the best examples of Antique architecture. Its construction works were finalized in 161 AD. The ancient theatre was renovated in 1950, in order to be preserved for the future and to serve as a very special venue of cultural events. 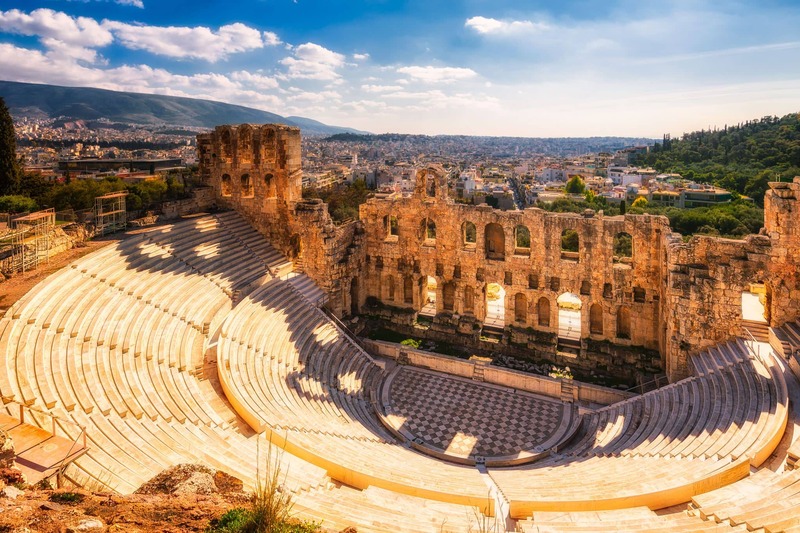 This ancient theatre in Athens has been actively used as an amphitheater on which stage many world-known musicians, singers and opera stars have performed. Completed in the 415 BC, this marble building is of high architectural and archaeological significance. You may be surprised to find out that this marble example of fine Antiquity architecture has also inspired the design of buildings in other countries. Among them are: Vermont State House in the USA; Penshaw Monument in England; New Parliament House in Edinburgh. As a person who likes big sporting events very much, I find this marble stadium simply amazing. I guess that all fans of the Olympic games and their history, would love to see the impressive Panathenaic Stadium in Athens with their own eyes. ‘The marble stadium’ is the only one stadium in the world, built entirely of marble. It should be noted that the opening and closing ceremonies of the first modern Olympic games in 1896 were held there.